Over the last month I have been the guest on numerous podcast shows set to air in the next few weeks. The question I am often asked is about the title of my book “From Depths We Rise”. They find the title interesting and want to know more. The simple answer is-do you know how hard it is to name a book? Not easy at all. Turns out over the last few thousand years people have been writing books, they took all the best titles! I had easily 50 different working titles, but either they were already taken or just didn’t stick. I finally settled on “From Depths We Rise” for a few reasons. First of all, the book is told in two parts. Part 1 is the story of my husband, which I began writing years ago and re-worked to fit within the context of the book. Part 2 is Ellis’ story. I always felt his story and her story were like two different books in one, so I combined the two stories and made it so. Part 1 is the hardest part of the story, when things are very bleak. Part 2 is the triumphant part of the story where the miracle occurs. When I started toying around with the title “From Depths We Rise” everything started to fall into place. Part 1 would be “The Depths” and Part 2 became “The Rise”. When my husband was first sick I held very tightly to the verse of beauty rising from ashes. In those early days I didn’t understand any of the reasons we had to walk through such pain. All I knew is I could hold on to His promise, and the promise I chose to believe was He would take our ashes and make them beautiful. Then came Joel’s death, and though it became much harder I held onto that belief with what little shred of faith I had. I don’t even remember how or where, but I once heard the phrase “choosing to rise”. That became my anthem. I knew the greatest power I had available to me was the power of response. I had the choice of how I would respond to all the tragedy we had endured. I made the choice from the very beginning, it wouldn’t be easy, but our family would choose to rise. We would choose to take all this bad and use it for good. It just so happens that is God’s promise to us as well. He will take all the wrongs and make them right. Putting those concepts together brought me to the perfect name for the book. Yes, we had walked through the fire; yes we had seen the depths-but we will rise. Our family will rise, and most importantly, beauty will rise. We don’t get to choose what happens to us; although I wish it were the case. But we do get to choose our response. 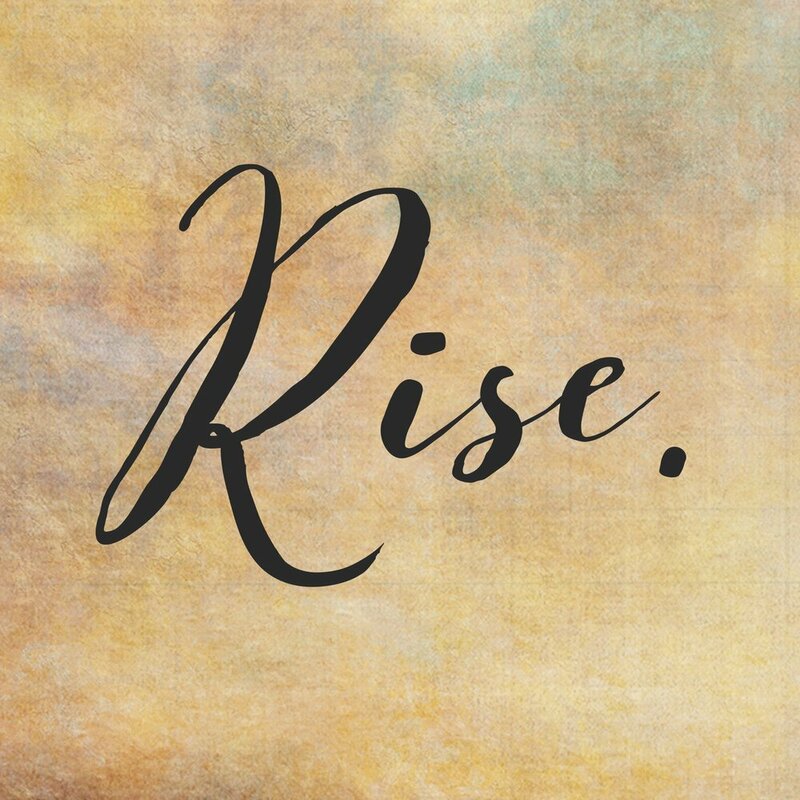 We can choose to rise, above our past, above our present. Above every worry and every fear. Above every tragedy and circumstance. Just as the sun will rise, as we do we, as does hope, as does beauty. Our story is like no other. I can't wait to get it into your hands. **From Depths We Rise releases in just 16 days! The book is currently on Amazon for only $9.65. Click HERE to purchase it now and you will have it by release day!